Delhi chief minister Arvind Kejriwal on Saturday posted angry tweets on the recent mob attack on a Muslim family living in Gurgaon and blamed the Modi government for this impudence. 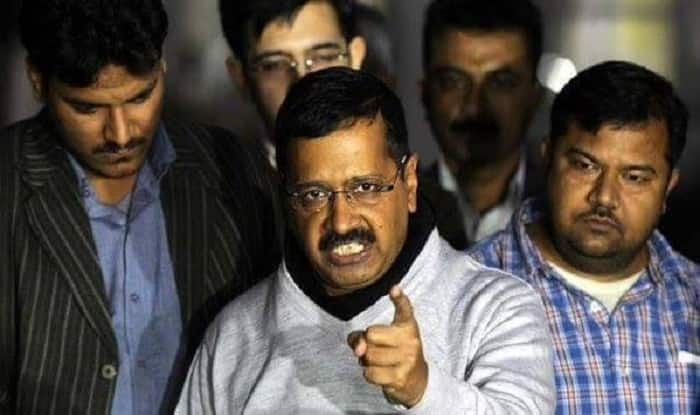 New Delhi: Aam Aadmi Party (AAP) national convener Arvind Kejriwal took to Twitter on Saturday and lambasted the Modi government for perpetuating hatred and a Hitler-like regime over a recent viral video that showed a mob attacking a Muslim family in Gurgaon on the eve of Holi. He further called the mob in the video ‘goons in the garb of Hindus’, while continuing to express his dismay at the violent attack on the Muslim family. A mob of 20-25 men barged into a house in Gurgaon’s Dhamaspur village on Thursday and attacked the male members of the Muslim family with bats and sticks till some of them started to bleed profusely. The incident took place, after the accused allegedly asked the boys from the Muslim family to not play cricket near their house, while adding that they ‘go back to Pakistan and play’. A brawl ensued and the boys ran back to their house, but some men chased them till their dwelling. Gathering a mob of some 20-25 men, they forcefully entered their house, ransacked it and assaulted the male members while women stood behind and shouted for help. According to a report in The Indian Express, some men in the mob came armed with bhalas (spears), lathis (sticks) and talwars (sword). One person has been arrested in the case and the police has filed charges under IPC sections 148 (rioting), 149 (unlawful assembly), 307 (attempt to murder), 323 (voluntarily causing hurt), 427 (mischief causing damage to the amount of fifty rupees), 452 (house trespass), and 506 (criminal intimidation).